On January 1, Texans of all ages will head to our state and national parks to participate in First Day Hikes, a cooperative initiative among the nation’s state parks to get more people outside. 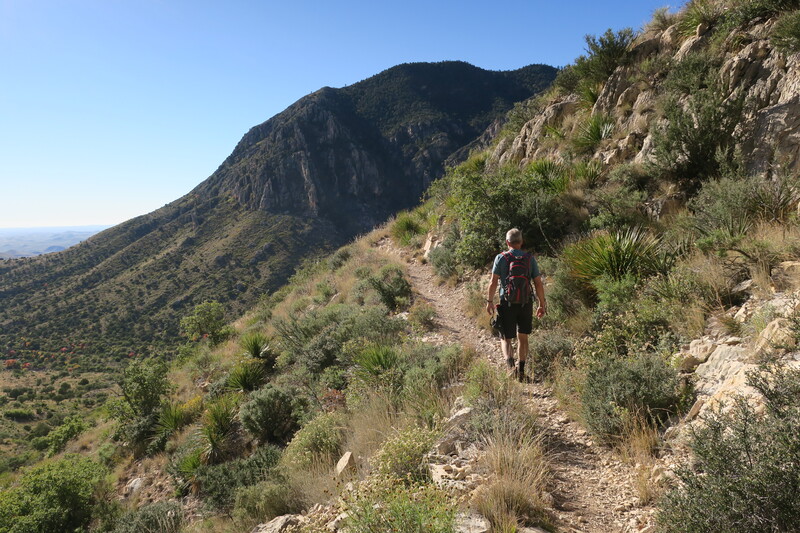 On that single day alone, folks in Texas and around the nation will collectively log tens of thousands of miles on park trails. And that’s a good thing! I enjoy both hiking and biking the trails in our state parks. In fact, I use my Texas State Parks Pass as often as possible. There is no question I get more than my money’s worth every time I renew my annual pass. There is no better way to relieve stress and to clear my mind than heading down a trail in one of our parks. As a guy who enjoys taking dirt paths, I have often wondered about trail development and maintenance. After all, trails don’t maintain themselves. The fact of the matter is someone had to get out there and determine the best way to get a hiker from Point A to Point B. 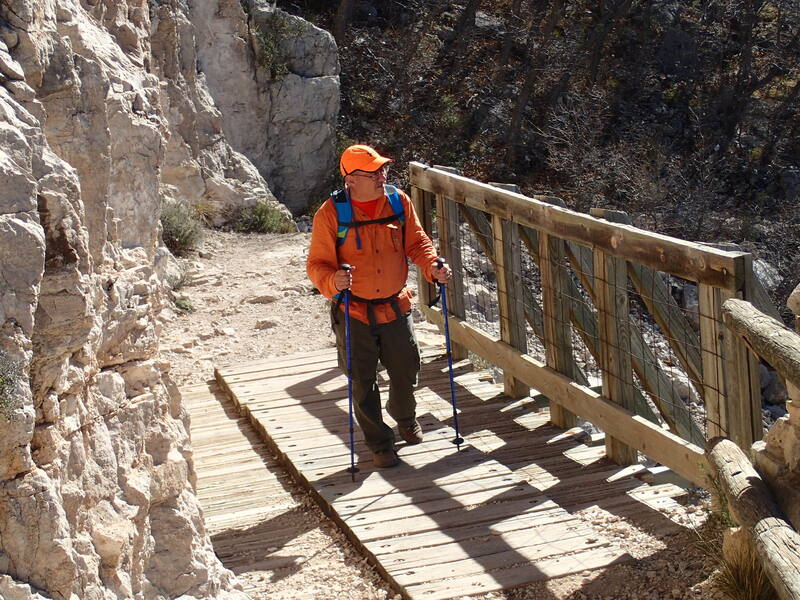 That means understanding the local geography, how to mitigate things that can erode or damage trails, how to scratch out switchbacks to get hikers to higher elevations, building boardwalks and bridges, and much more. 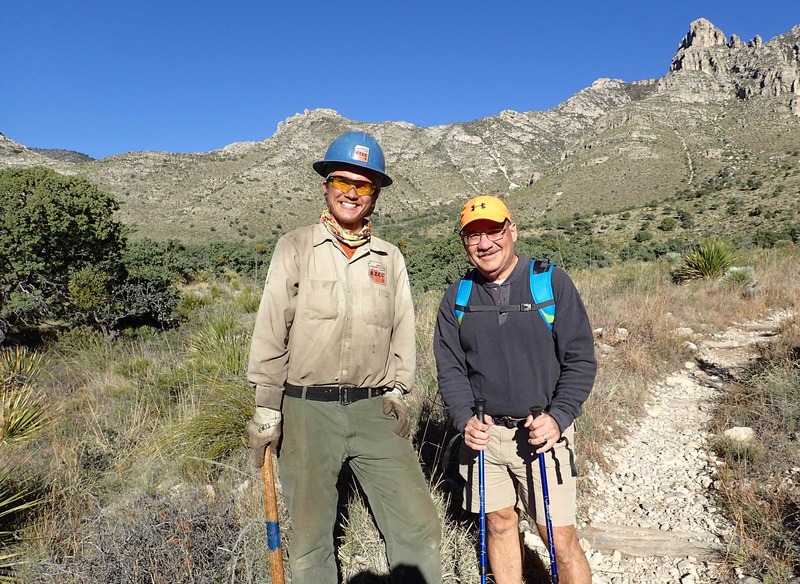 On my recent visit to Guadalupe Mountains National Park, I had an opportunity to meet a trail crew — young folks who were there to do maintenance work on Tejas Trail. They were all thin, tanned, athletic, super-friendly, and excited to do their part to keep the trails we all enjoy in good repair. My friend Doyle and I made it a point to thank each of them for their work as we made our way up Tejas Trail toward Hunter Peak. And each of them in turn told us to enjoy our hike. At the end of a long day of hiking, more than nine hours on the trails, we made our way back down Tejas Trail as the sun was setting. The work of the trail crew was evident. They had refreshed quite a bit of the trail by pruning back limbs of adjacent trees and plants, filled areas damaged by erosion, and more to keep this particular trail well defined. What a great gift to those of us who show up ready for adventure. I hope you will participate in a First Day Hike (or ride) at a park near you. Lace up your hiking boots, fill your hydration pack, toss some snacks into your daypack, air up your bike tires, and then get outdoors. 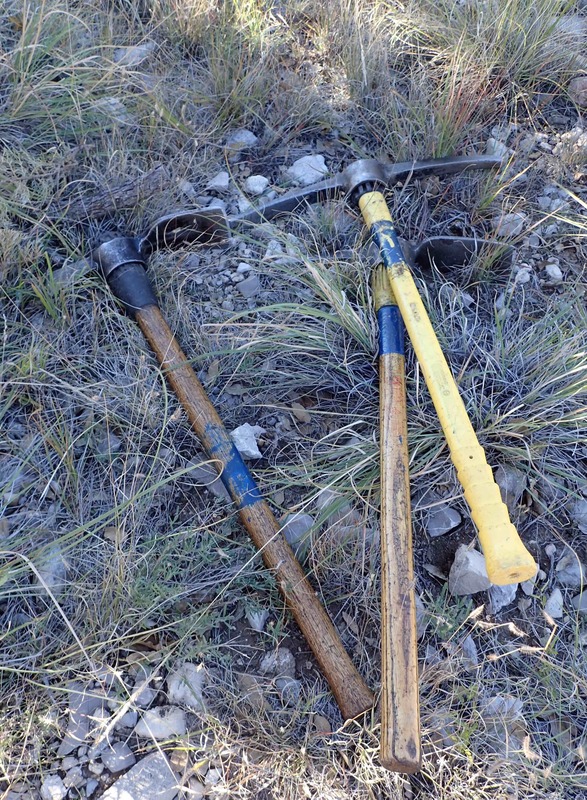 And as you hike or bike down a trail, do so with gratitude for the trail crews that work so hard to make sure every trail in the Lone Star State is well maintained for our enjoyment. Thank you, trail crews! 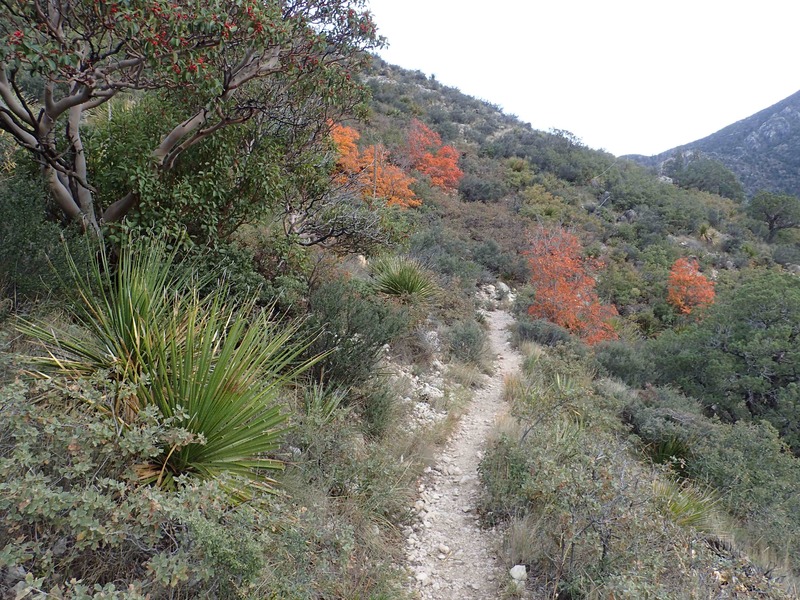 This entry was posted in Hiking and Camping, National Parks / Refuges, Texas State Parks and tagged First Day Hikes, Hiking, Trail Crews, Trail Maintenance. Bookmark the permalink.